Got a ‘two choices’ type question? This intuitive layout is the Tarot spread I use for tuning in and choosing the path that best aligns me with Higher Will. This post is best read after this general post about reading intuitively but feel free to continue reading if you are already used to reading the cards intuitively and without set positional meanings. Basically, you read this in three groups of three cards. The first three cards tell a story about your background and where you’re at now with regards to the choice you are facing. 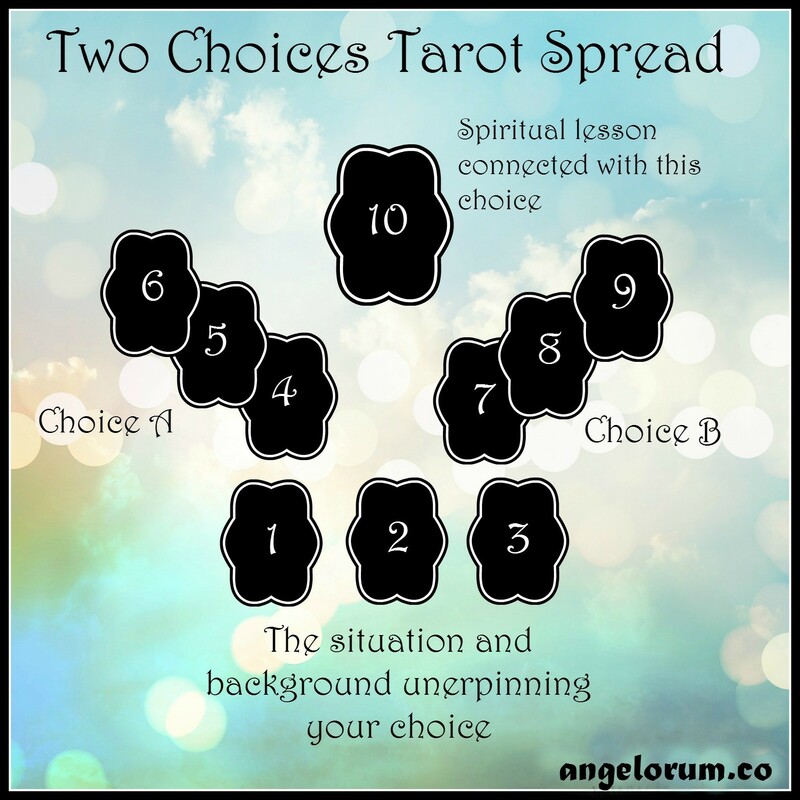 The second group of three Tarot cards shows you how things are likely to progress if you go down the path of choice A and the third group of three cards show you how things are likely to progress if you go down the path of choice B. The tenth and final card should be chosen from a Majors only deck and this is the card that tells you the real issue your Higher Self is facing behind the bleedingly obvious outer circumstances and your own indecision.